Well, you’ve come to the right place! I understand how frustrating it must have been when you’re having issues with your Abs Cbn TV Plus and you don’t know what to do or how to solve it. That’s why I came up with this blog post about Abs Cbn TV Plus FAQs to guide you on how to use it and how to solve issues when you encounter them. Just follow whichever is applicable to your current issue. What are the available Abs Cbn TV Plus Channels? Is there an Abs Cbn TV Plus promo? A: The suggested Abs Cbn TV Plus price is ₱1,499 and it is a one-time payment only. It means that you don’t need to pay monthly to be able to use the Abs Cbn TV Plus. This will allow you to save money from your monthly bills. What is Abs Cbn TV Plus hotline? What is included in the TV Plus box or kit? If any of the above items is missing or is not in the box, please inquire directly at the merchant or store where you bought it from. What is KBO TV Plus? A: The KBO or Kapamilya Box Office is an offer to ABS-CBN TVplus subscribers where you can watch movies using your cellphone with active prepaid or postpaid sim (Globe, TM, Smart, TNT and Sun) and sufficient load (P30). What are the Abs Cbn TV Plus coverage? A: The Abs Cbn TV Plus is available in Metro Manila. It is also available in key cities in Luzon including Rizal, Cavite, Laguna, Bulacan, Pampanga, Nueva Ecija, Tarlac, Pangasinan, Benguet. It is available in Metro Cebu, Bacolod, Iloilo, Davao City and Cagayan de Oro. Why does my Abs Cbn TV Plus not working well? A: Just like other digital gadgets like your cellphone, tablet, and computer, you may encounter signal issues even if you’re in a coverage area. An example of this is if you are in an area where there are huge buildings which may interfere or block the signal, or in far-flung areas with dead spots that couldn’t connect to the signal at all. Where is Abs Cbn TV Plus service center? A: You may go to the ed branch of Solid Service Center to have your TV plus checked, repaired, or replaced. Please refer to the list of service centers below. What is Abs Cbn black box? What are the steps on how to upgrade tv plus? What are the steps on how to install abs cbn tv plus? Where to buy Abs Cbn TV Plus? Where can I buy abs cbn tv plus outdoor antenna and how is it set up? How to add channels on tv plus? How does the Abs Cbn TV Plus remote and app work? 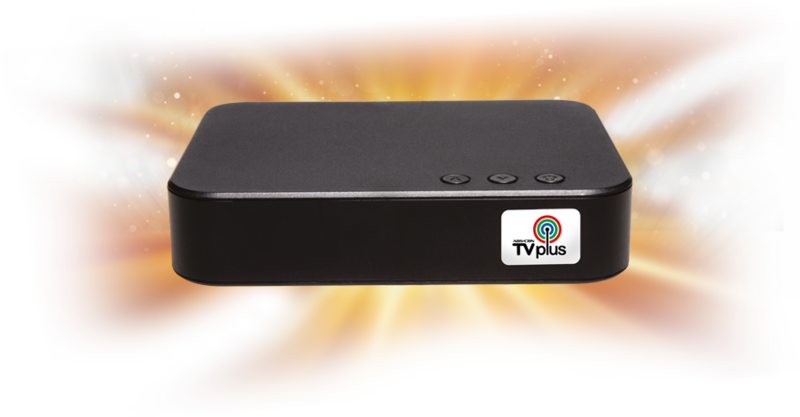 You may visit the Abs Cbn TV Plus website for more information about TV Plus. We bought our Abs Cbn TV Plus back in 2015 and we are really glad because we don’t have to pay the monthly bill anymore to watch TV. Before we purchased the Abs Cbn TV Plus 5 years ago, we used to pay at least P500 for the cable service. Imagine, if we were able to save that amount since we bought the TV Plus, we could’ve saved more that P30,000 by now. In terms of saving money, getting the Abs Cbn TV Plus is really a good decision to make. You won’t regret it. However, in terms of the usability of the Abs Cbn TV Plus, I could say that I’m satisfied with the available channels that come with it. Although I wish there’s more, I know I get what I pay for. What more could I ask for. I only paid one-time, and I can use the Abs Cbn TV Plus for a lifetime as long as it still works. In terms of its performance and the quality of the available channels, GMA 7 is the most stable. We’re able to watch ABS CBN channel, but it gets static at times. Sometimes, it just stops or the sound gets rumbled and screen gets blurred. Even if I would want to watch the programs in ABS CBN, I sometimes get lazy to do so because of the static issues. It is annoying especially when you’re watching a really exciting game or an episode of your favorite series and it suddenly stops. Earlier, I watched the final UAAP basketball game between UP and ADMU at the Sports Channel of ABS CBN and it was so irritating when it gets static at the middle of the exciting game. I just wished ABS CBN will continue to improve their signal. When I’m tuned it to GMA 7, the TV Plus works well without any issues. I guess the usability and quality of the channels depend on where you are located and how you set up your ABS CBN TV Plus. In our experience, the quality improved when we bought an extra cable and installed an outdoor antenna in the roof for our ABS CBN TV Plus. You may want to try that too to see if your ABS CBN TV Plus issues get resolved or if the quality of the channels improve. Bakit po nawala nung nag reset po ako nasal ibang channel ang meron lang po at ung bagong channel.